Ohrid pearl – the technology of producing the renowned Ohrid pearl, one of the trademarks of Ohrid, is a secret family tradition, passed down from one generation to another. There are only two Ohrid families, family Filevi and family Talevi, who keep the secret recipe of making a special emulsion from the scales of the little and endemic fish “plashica” living only in the waters of the Ohrid Lake. This secret emulsion is hiding the mystery of the authenticity of the pearl. With every purchased piece of jewellery, only pearl, pearl combined with silver or with filigree, you get a lifetime guarantee which proves the originality of the Ohrid pearl. National workshop for handmade paper is located in the old part of the city of Ohrid, next to the National Museum and it was opened in 2002. 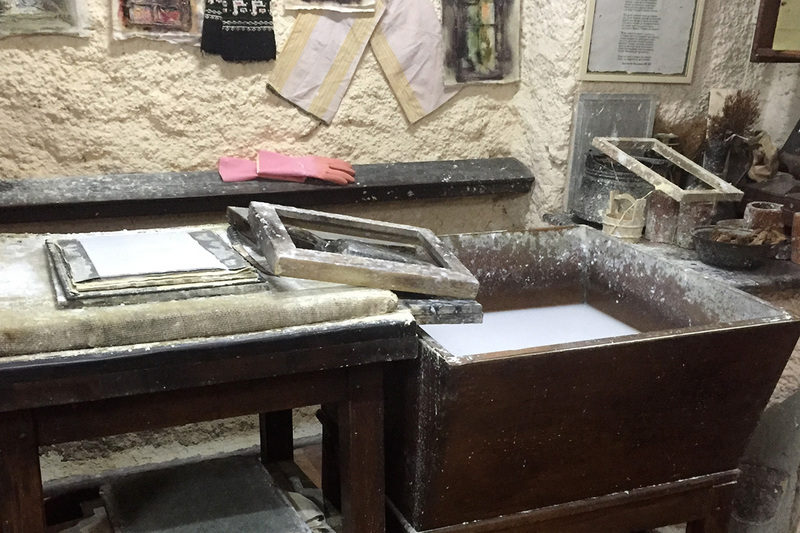 Ohrid has been printing paper since the 16th century and the city has kept the old traditional Chinese way for paper-making process originating from the 2nd century BC. In this workshop you will have an excellent demonstration and you can buy original handmade paper products. Everything that is exposed in this small workshop is printed on the Gutenberg Press. There are only two copies of the Gutenberg Press in Europe, one in this National workshop for handmade paper and the other one in Slovenia. Biking around the lake of Ohrid and the National Park of Galichica is the place where you can discover a real beauty of the landscapes around the lake and the National Park. There is as well an opportunity to take a rest in the neighbouring villages and to enjoy the delicious traditional food prepared by the friendly local people. 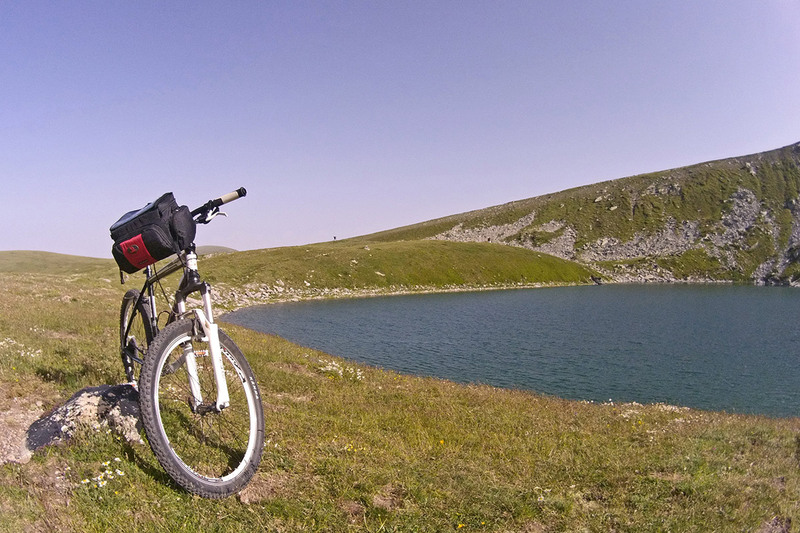 Biking around the lake, you will get familiar with the shore of the lake on the Albanian side and passing through the scenic road of the National Park, despite the magnificent panorama over the Ohrid Lake, you can discover the incredible beauty of the Prespa region as well. 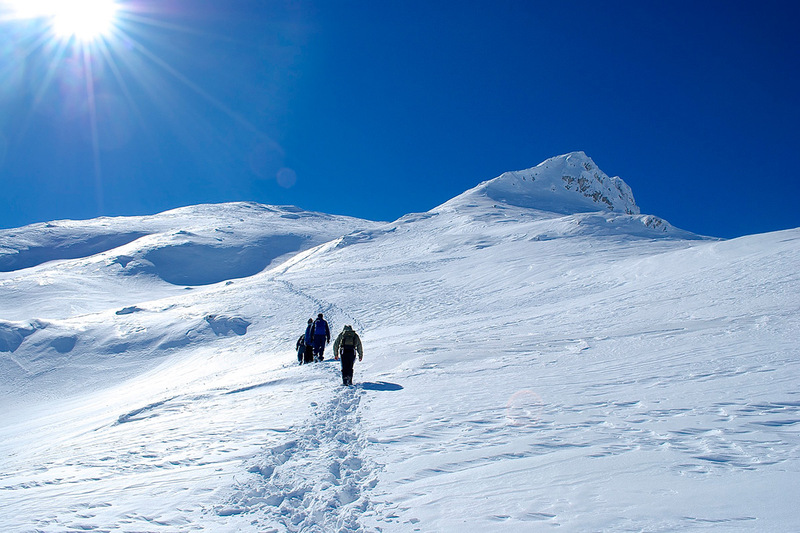 Golem Korab is the highest peak in the Republic of Macedonia with an altitude of 2.764m. 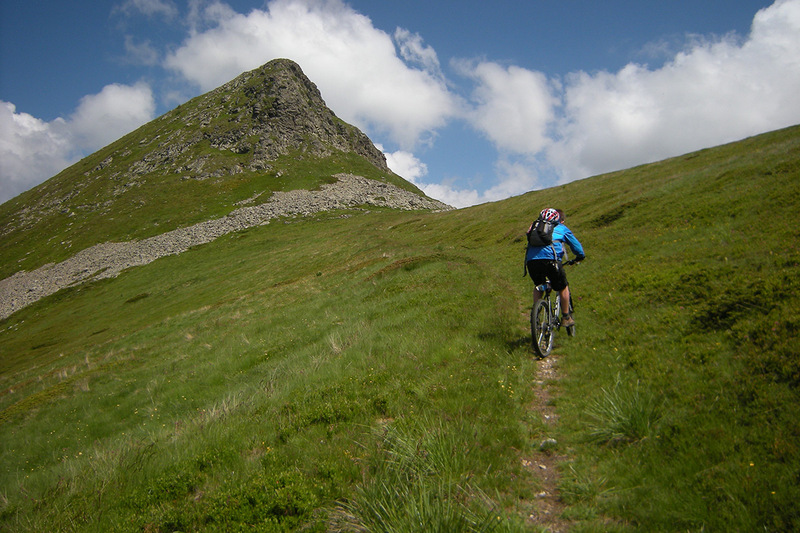 Climbing, you can also discover the beauty of the biggest National Park in the country, the National Park of Mavrovo. An international expedition to climb Golem Korab is organized each September when Macedonia is celebrating the day of independence. During the climbing tour, you are accompanied by professional licensed guide for mountainous region. Magaro is the highest peak at the National Park of Galichica with an altitude of 2 254m. It offers the most remarkable view over the two natural lakes, from one side the Lake of Ohrid and from the other side on a higher altitude the Prespa Lake. During the climbing tour, you are accompanied by professional licensed guide for mountainous region. Pelister is the highest peak on Baba Mountain with an altitude of 2.601m. There are two main routes to the top, one more challenging across the big granite boulders and an easier one through the deep Molika, five needled pine, forest. Coming down from the other side of the mountain, you can visit and admire the beauty of the symbol of the National Park, the two glacial lakes called Pelister Eyes. During the climbing tour, you are accompanied by professional licensed guide for mountainous region. You can explore the underground of one of the oldest lakes in the world and get familiar with the remarkable beauty of the Ohrid Lake. 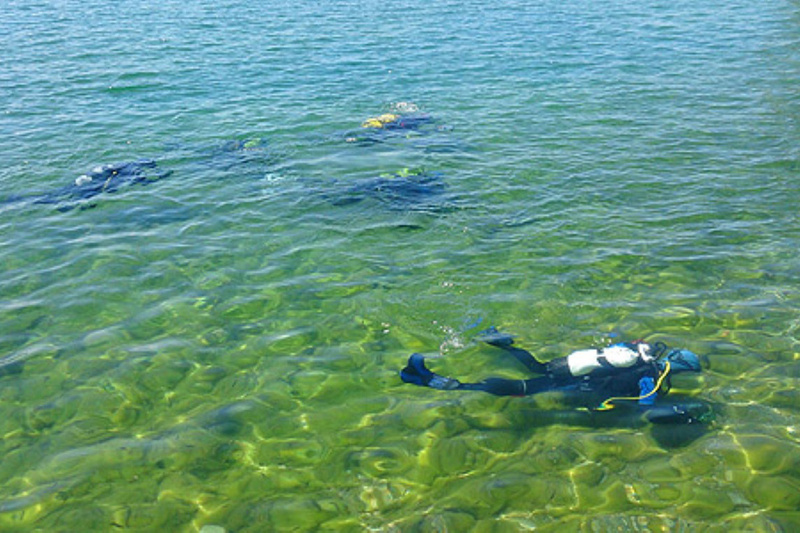 The professional club is located by the shore of the lake and during the diving you are guided by internationally professional licensed instructors, using the high quality equipment. 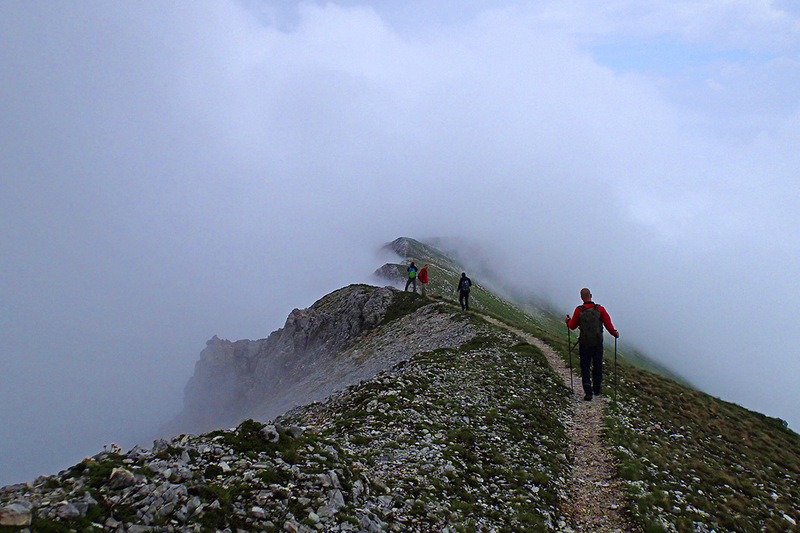 Ljuboten is one of the most attractive Macedonian peaks with an altitude of 2 498m. 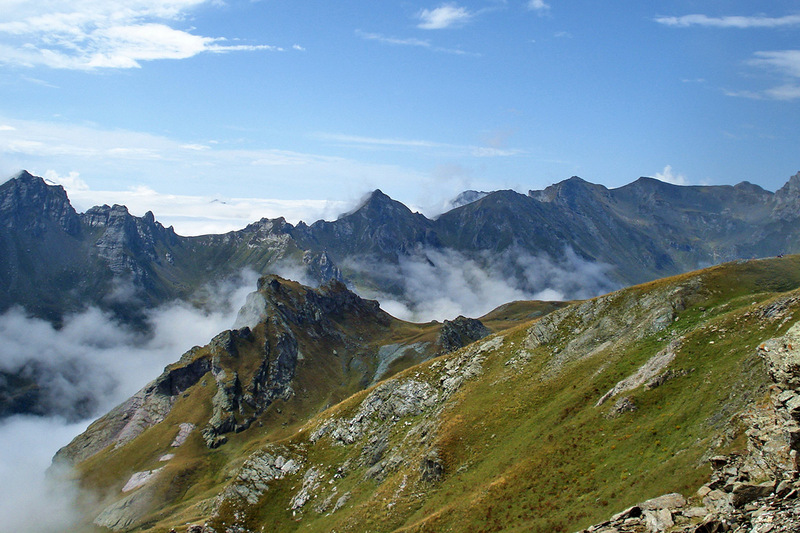 It is located on the North of the Shar Mountain with a breathtaking view on the entire massif. In summer its terrain, rich with pastures and rocky outcroppings, makes Ljuboten a favourite destination of many mountain climbers from Europe. During the hiking tour you are accompanied by professional licensed guide for mountainous region. 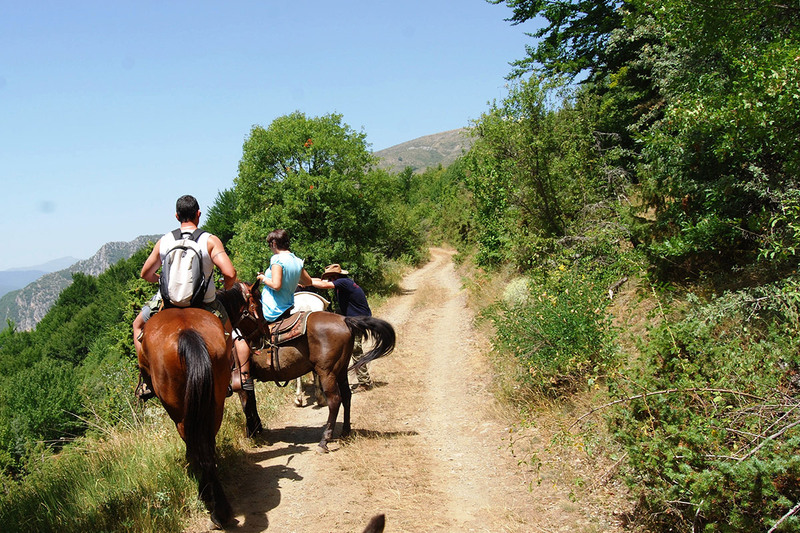 Horseback riding as an alternative form of tourism, is giving you an opportunity to explore the beauties of the National Park Mavrovo on a horseback, accompanied by professional guides and riding instructors. The season starts in June and lasts until October. You are going to ride the Balkan mountain horses: small in size, friendly, but hardy and surefooted in the steep terrain. This riding experience is adjusted to any rider level. After the riding experience, you are offered to taste the famous and delicious Mavrovo cheese as well as the lamb prepared in a traditional way by the locals. 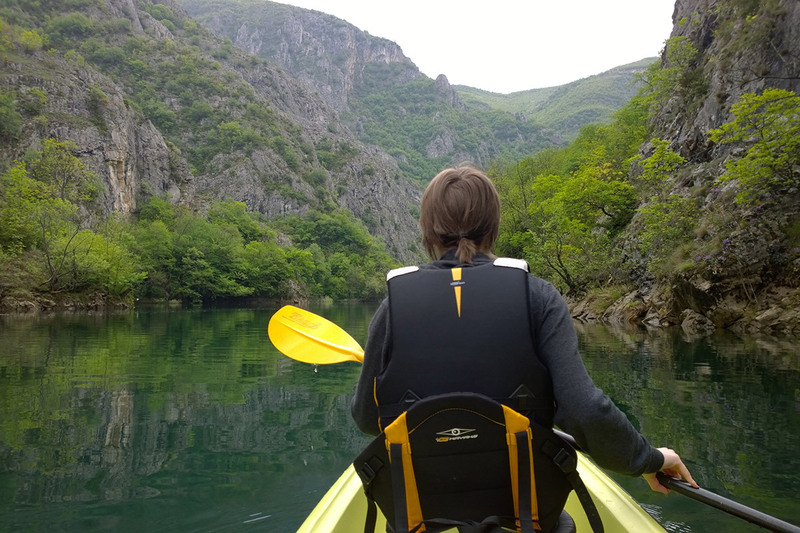 Kayaking on Matka Canyon is an alternative form of tourism which allows you to enjoy the scenic beauty of the protected natural reserve and home of amazing caves and a wide variety of plants and animals. 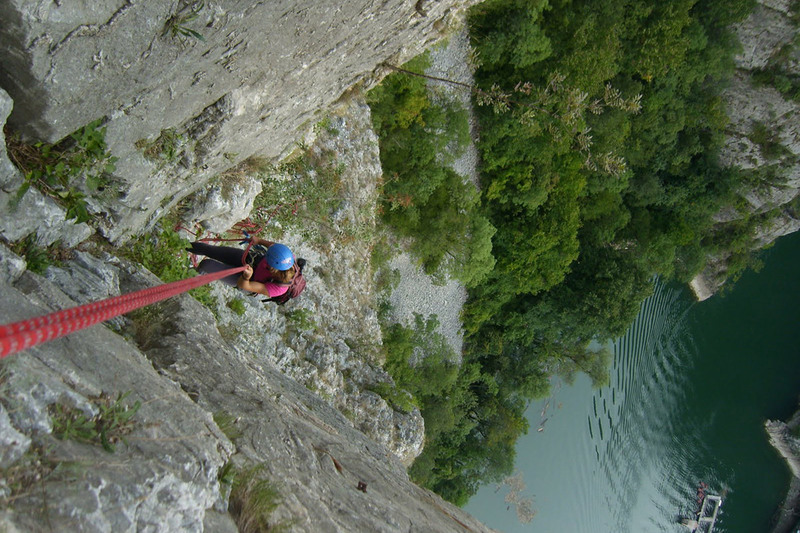 Rope climbing on Matka Canyon, located just 15km from the capital, with its steep cliffs and limestone rocks, it is Macedonia’s most popular climbing area. The climbing season starts around Easter Holiday and ends in November. The tour is oriented for people who are looking for some real challenge and adrenaline as well as for the beginners looking for a safe environment to practice. 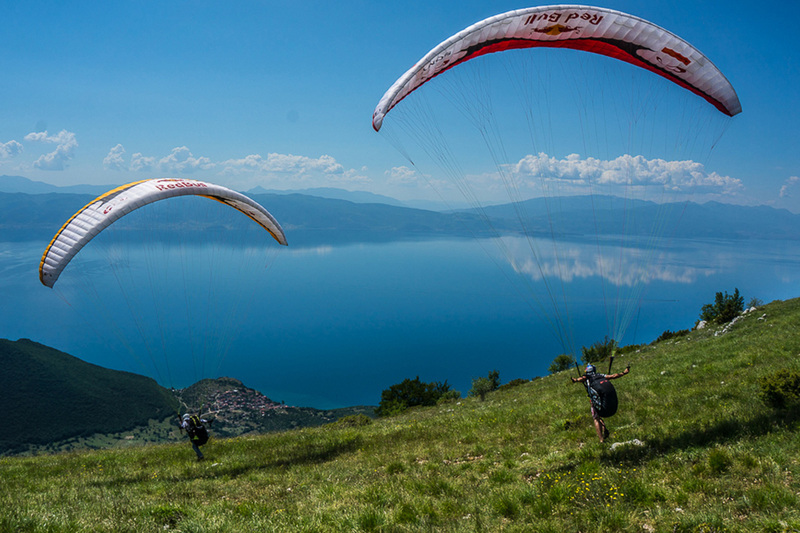 Paragliding or experience the beauty of Ohrid in a different way, is one of the excursions offered during the summer season, from 1st June until 15th of September. The first and the only certified Paragliding School in Macedonia formed a new branch called “Paragliding Tandem Flight Ohrid” in 2010 and started to organize the first tandem paragliding flights for tourist in Ohrid-Prespa region. The pilots are highly experienced paragliding instructors, certified by the Aeronautical Federation of Macedonia.